March 27, 2004  NPR's Linda Wertheimer talks with the members of Anonymous 4 — an a cappella singing group — about their latest CD: American Angels: Songs of Hope, Redemption, & Glory. Unlike their earlier albums, this album focuses on 18th century American spirituals and shape-note music. 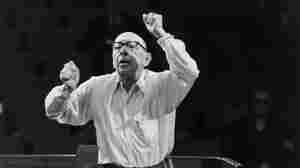 December 24, 2000  Igor Stravinsky wrote his Symphony of Psalms in 1929 for the 50th anniversary of the Boston Symphony. 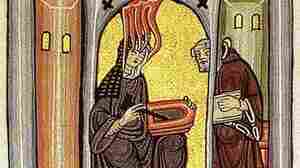 December 21, 2011  Pope Benedict XVI plans to canonize 12th-century composer, mystic, doctor and Benedictine abbess Hildegard von Bingen next year.